1 I’ve purchased additional maps for my GPS device, but they are too large for my device, have I received the wrong mapping card? 2 The maps or software on my Garmin GPS are out of date, how do I update them? 3 I’ve purchased a preloaded mapping card; how do I go about updating the maps when a new version comes out? 4 What does the “LM” or “LMT/LMT-S” stand for in the name of my device? 5 How long is the “lifetime maps” subscription that came with my device actually? 6 My Garmin GPS comes with a worldwide Basemap loaded on it, why would I want to purchase other maps? 7 My phone has maps already loaded on them why should I even bother buying a GPS device? 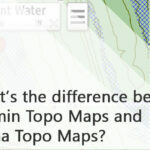 8 What's the difference between TOPO Full and TOPO Lite for Topographic maps? 9 I heard the Hema maps are good, can I put those on my device? 10 I have a Garmin inReach device, can I add Garmin maps to this device? 11 I want to use a Garmin GLO with my device, how do I know if they’re compatible? I’ve purchased additional maps for my GPS device, but they are too large for my device, have I received the wrong mapping card? No, the card you have received is the correct one. 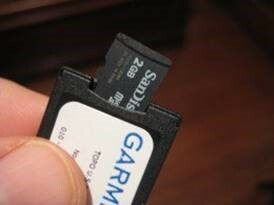 As technology has developed over time Garmin devices have developed as well. To make sure that the mapping cards are supported on as many of their devices as possible they have put smaller Micro-SD cards inside a full-size SD card adapters, this means that even the older Garmin devices that take the full-size SD cards can still utilise the maps. The maps or software on my Garmin GPS are out of date, how do I update them? Garmin has made the process of updating their devices quick and easy with their free piece of software called Garmin Express which you can find on this link here. We also have a tutorial to guide you through the process. Garmin Express is supported on both Mac and Windows so no matter what computer you’re running it is supported and once installed you just plug your device into the computer, wait for it to be read by the computer, and then press the “Add a Device” button and follow the steps. I’ve purchased a preloaded mapping card; how do I go about updating the maps when a new version comes out? 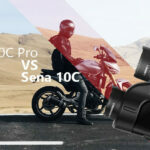 Unfortunately, the only Garmin maps that accompany updates included are the maps that come preloaded on Garmin’s in-car and motorcycle GPS units which are stated to have “lifetime maps”. What does the “LM” or “LMT/LMT-S” stand for in the name of my device? 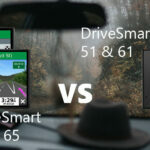 Garmin devices with an “LM” or “LMT/LMT-S” are units that come with Lifetime Map updates (LM), Lifetime Map and Traffic updates (LMT) or Lifetime Map updates and Traffic updates via a Bluetooth connection from your Smartphone (LMT-S). How long is the “lifetime maps” subscription that came with my device actually? Garmin’s lifetime map updates give you access to the latest version of the maps as soon as they are made available on Garmin’s website. “Lifetime” however is not the entire life of the device, Garmin stipulates that it is the considered the “useful life” of the unit. What this means is that if a device doesn’t have enough memory, processing speed or power to utilise the current maps and if it is incapable of operating as intended without major repairs Garmin considers it the end of its “useful life” and will cease support and map updates. As well as this, if you have not updated your device in the last 24 months or longer the device is then considered out of its “useful life”. My Garmin GPS comes with a worldwide Basemap loaded on it, why would I want to purchase other maps? The basemap that comes preloaded on Garmin devices does cover the whole world. However, the coverage available is low detail. It allows you to get the general gist of where you are but isn’t detailed enough to show roads and streams or contour lines for elevation so is not ideal for navigation. I've included a picture below it's not exactly overlayed but it will give you an idea of the detail difference. My phone has maps already loaded on them why should I even bother buying a GPS device? While phones will often have a quicker location fix than a GPS unit, they aren’t as precise as a standalone GPS unit. Mobile phones use A-GPS or Assisted GPS for their location fixes as well as their internal GPS receiver, this is done by triangulating the cellular signal which gives you a faster but less accurate position fix. So, while using your phone is quick and convenient, it is not always as accurate which can result in getting lost which no one wants to happen. The other main issue is the battery life on the phone which if you have multiple apps running (Spotify, GoogleMaps, etc) is quite short. If you're charging your phone it can actually stop your device from charging as the battery life consumption can match the charge outputted from a standard cigarette lighter port. 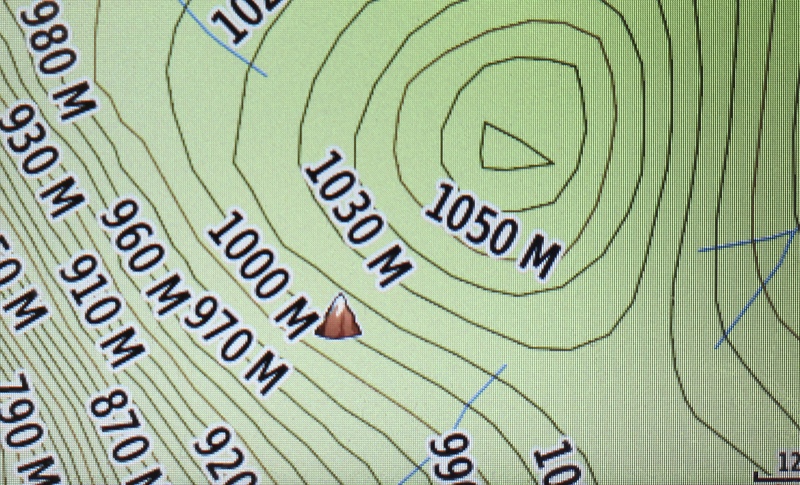 What's the difference between TOPO Full and TOPO Lite for Topographic maps? 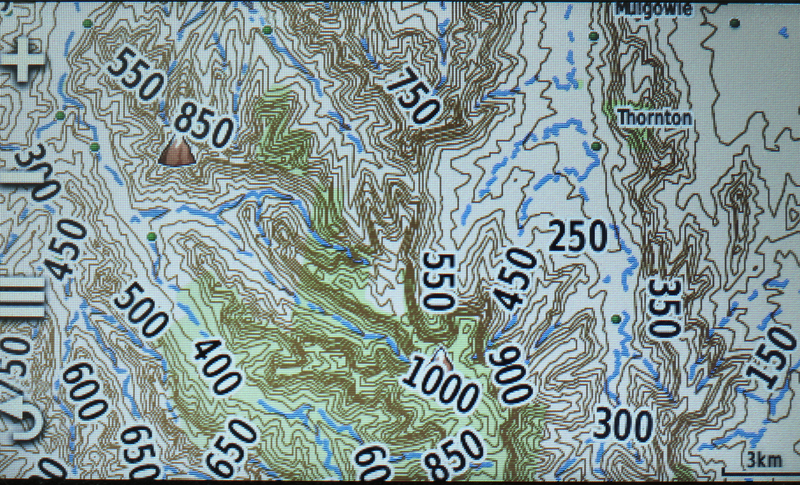 Garmin produces 2 versions of their current version 5 topographic maps, the full version and the Lite version. The differences between them are that on the full version you have turn-by-turn navigation on tracks and trails and elevation contour lines every 10 metres whereas the Lite version has no support for turn-by-turn navigation and the elevation contour lines are every 40 metres. Other than these differences the mapping detail will be the same; any tracks available on the full version of the maps will be on the lite version. Additionally, the Lite version will not you search for an address. I heard the Hema maps are good, can I put those on my device? 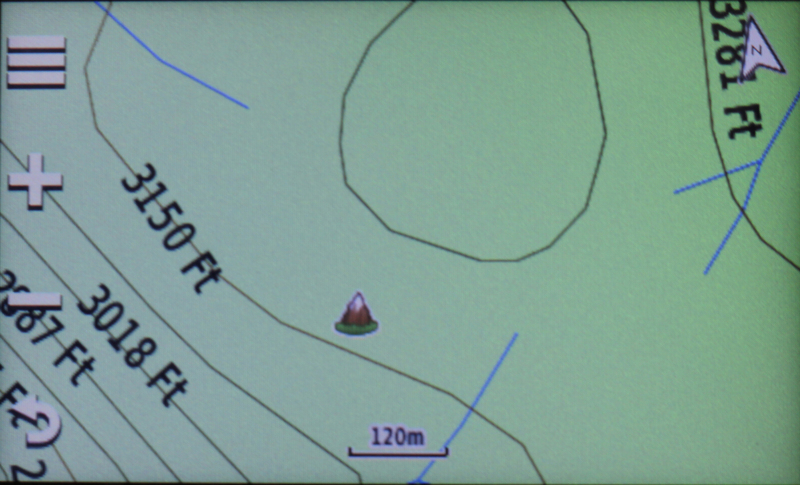 The Garmin Topographic maps already use some Hema topographic content, shown in vector format. You cannot load Hema Raster maps to the Garmin GPS. I have a Garmin inReach device, can I add Garmin maps to this device? The Garmin inReach Explorer+ comes with the Delorme Topographic maps preloaded on it, and the SE+ has the Garmin basemap loaded on it, but unfortunately, with these devices, you are not able to download any Garmin maps onto them. 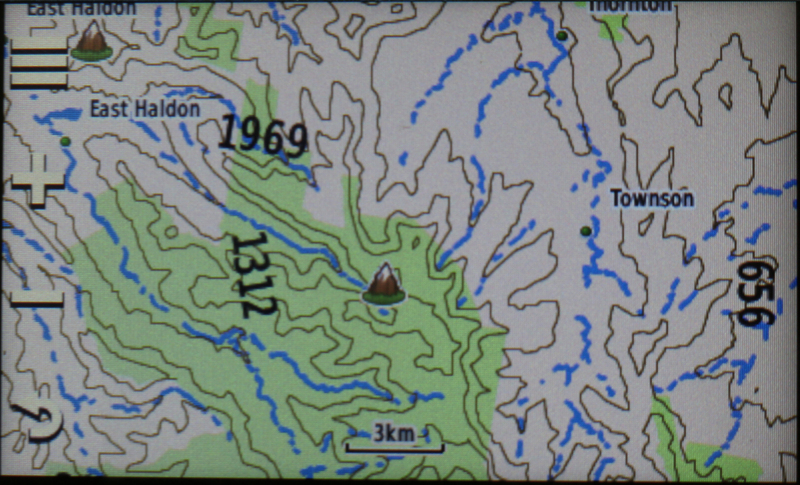 The Explorer+ can have any OpenStreetMaps loaded on them, and the Delorme maps as well. I want to use a Garmin GLO with my device, how do I know if they’re compatible? The Garmin GLO GPS receiver uses a Bluetooth connection to transmit GPS data to an external device which makes them compatible with a wide variety of devices. Windows, Mac and IOS devices are able to be utilised just by connecting to the GLO via the Bluetooth settings on the device, however Android devices require an external app called “Bluetooth GPS”. Once you have paired the GLO to an Android device, open the Bluetooth GPS app and tap the checkbox "Enable Mock GPS Provider" (this may prompt you to a screen requesting you allow mock locations which you need to accept) to utilise the GLO for its positioning information.